VANCOUVER, Wash. — The two adult children of former Vancouver police officer Clyde Ray Spencer, who spent nearly 20 years in prison after being convicted of molesting them, testified in court Friday the abuse never happened. A 33-year-old son recalled how, at age 9, he was repeatedly questioned, alone, by now-retired Detective Sharon Krause of the Clark County Sheriff's Office. He said after months of questioning, he said he was abused to get Krause to leave him alone. A 30-year-old daughter said she doesn't remember what she told Krause at age 5, but recalled Krause bought her ice cream. Both children, who live in Sacramento, Calif., said that while growing up in California they were told by their mother, who divorced Spencer before Spencer was charged, that they were blocking out the memory of the abuse. They said they realized as adults the abuse never happened, and they came forward because it was the right thing to do. As a commenter says, the ex-wife should have to do 20 years. It is easy to pressure a 5-year-old girl to lie, if you buy her ice cream. This week, after 74 separate court hearings over two harrowing years, the family finally lost their fight to have Jenny returned to them. 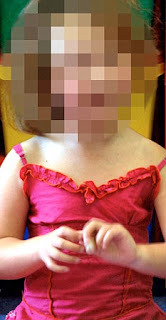 The Court of Appeal in London ruled that their daughter must be given up for adoption. If and when she is, they may never see her again. Jenny was five when she was taken away, and seven now. Before we examine the peculiarly troubling details of this case, it is worth considering the comments of the family's MP, Charles Hendry. Her husband Richard, 32, runs a dog breeding business from their home. They have been married for 13 years. They were just a normal, happy family, it seems, until the RSPCA, backed up by 18 police officers, arrived at their house early one April morning in 2007, following a tip-off that dogs were being mistreated, and that there might be guns in the house. No guns were ever found. No criminal charges were brought, nor does Richard have a criminal record. He was later, however, convicted of docking the tails of his puppies. But the raid was to have far more catastrophic consequences. Both Richard and Susan were arrested for failing to cooperate with officers. By the time they were released from custody later that day, Jenny was the subject of an emergency protection order. I cannot figure out why the authorities were out to get this couple, but I do know that it does not take 74 court hearings to prove their case. Obviously they have no proof of harm to the girl. They are not lone voices: more than 200 local people, including neighbours, friends and members of the couple's church, planned to take part in a march through their village shortly after the family's ordeal began in April 2007. Posters were printed, which read 'Social Services Have Kidnapped Our Daughter. Please Help The Fight To Get Her Back Where She Belongs.' Above the words was a picture of Jenny. Of course, you won't have read about the protest, because it never took place. The march was just about to begin when the police, acting on the advice of social services, stepped in. They warned Jenny's parents they risked being jailed, as they had broken the law by identifying their daughter on the placards. I have heard of China suppressing political protests, but I did not know that England could suppress parents protesting the taking of their own daughter.